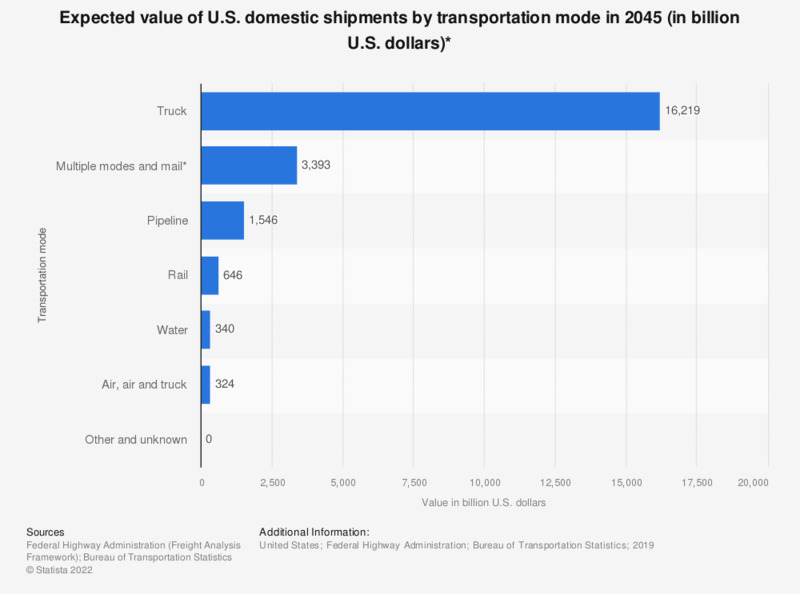 The statistic shows the expected value of U.S. domestic shipments by transportation mode in 2045. At that time, the value of U.S. domestic shipments transported by rail is estimated to be 646 billion U.S. dollars. * Includes export and import shipments that move domestically by a different mode than the mode used between the port and foreign location.